British director and choreographer Kate Prince leads a brand new project at the Old Vic Theatre, as part of their exciting 2018 season. Sylvia is a brand new musical co-commissioned by 14-18 NOW, the UK’s arts programme for the First World War centenary, the Arts Council and the Heritage Lottery Fund. The production follows a variety of new plays and stage adaptations set to run at the venue in the new year. Taking place at a momentous hour in British history, Sylvia is the thrilling modern musical that celebrates the life of Sylvia Pankhurst, one of the world’s most well-known Suffragette campaigners. As her pivotal role in the fight for women’s rights comes to light, the musical explores how the price of her passion for politics tore her family life apart. Theatre and vocal legend Beverley Knight stars as Emmeline Pankhurst, alongside Genesis Lynea as Sylvia Pankhurst and Carly Bawden as Clementine Churchill, with Annie Kenney and Izuka Hoyle as Emily Davison. Further casting includes Delroy Atkinson as Winston Churchill, Verity Blyth as Adela Pankhurst, John Dagleish as Keir Hardie, Jade Hackett as Lady Jennie Churchill/Edith Garrud, with Todd Holdsworth as HG Wells/Silvio Corio. Sylvia is co-written by Kate Prince and Priya Parmar, with original music by Josh Cohen and DJ Walde. Olivier Award-nominated choreographer Kate Prince is the artistic director of ZooNation Dance Company, which has led smash-hit shows including Into the Hoods, whilst other credits include choreographing popular BBC dance show So You Think You Can Dance. The production also includes design by Ben Stones, lighting design by Natasha Chivers and sound design by Clement Rawling. Combining one of history’s most iconic events with an explosion of dance, hip hop, soul and funk, the Suffragette movement is presented in a new light in this electrifying new musical. 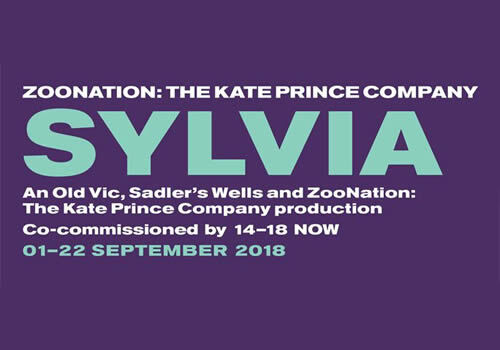 Sylvia plays at the London venue from September 1st to September 22nd 2018, with an official opening on September 6th 2018. Sylvia is recommended for those aged 10 and up. Children under the age of 10 will not be admitted.